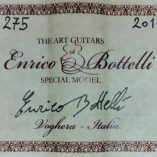 Enrico Bottelli was born in Milan, Italy in 1961. 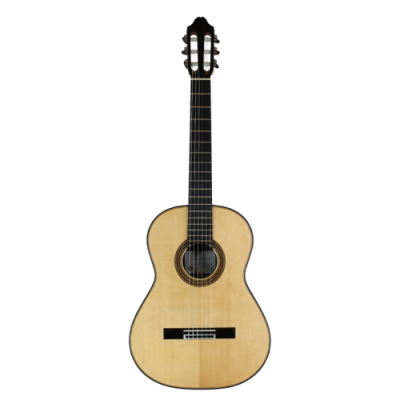 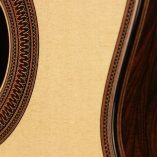 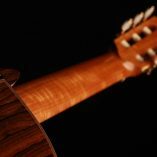 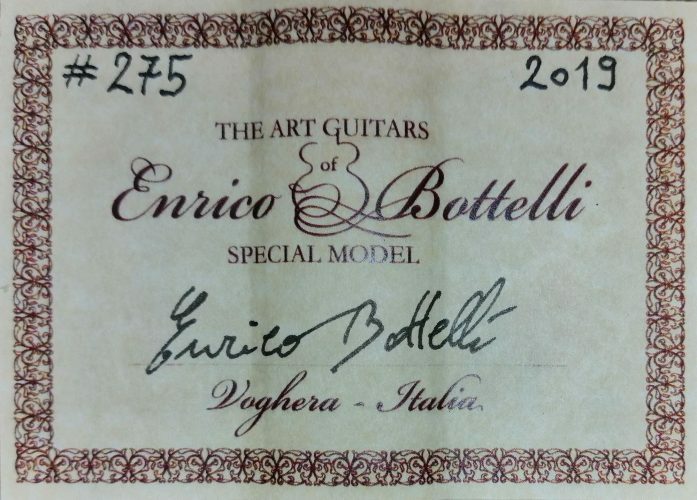 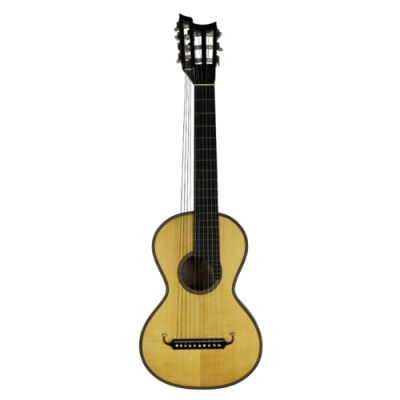 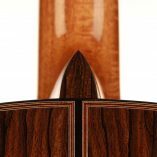 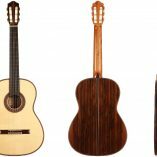 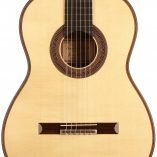 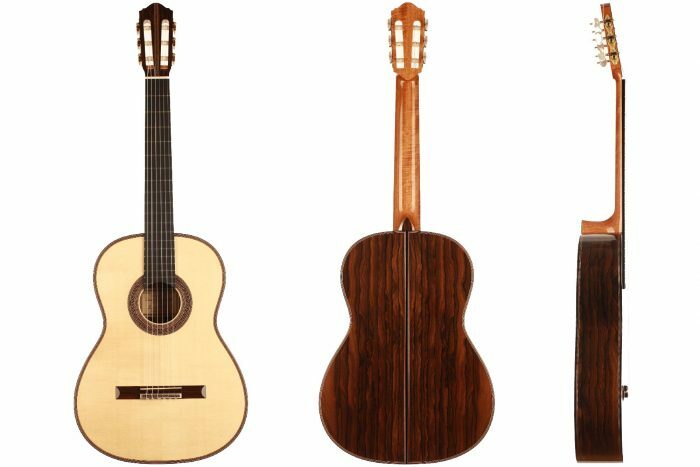 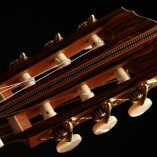 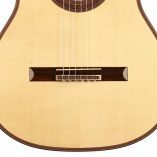 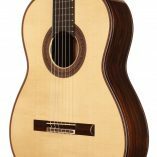 He made his first guitar-building experiences under the guidance of the Master luthier Carlo Raspagni in 1981 and started to build classical guitars as a professional luthier in 1988. 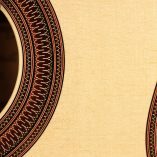 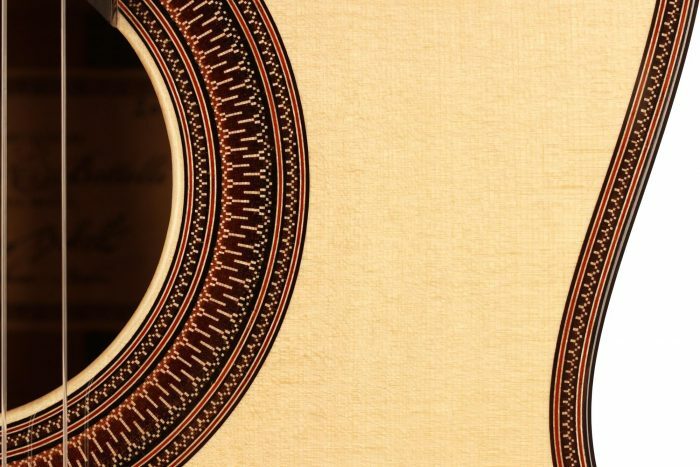 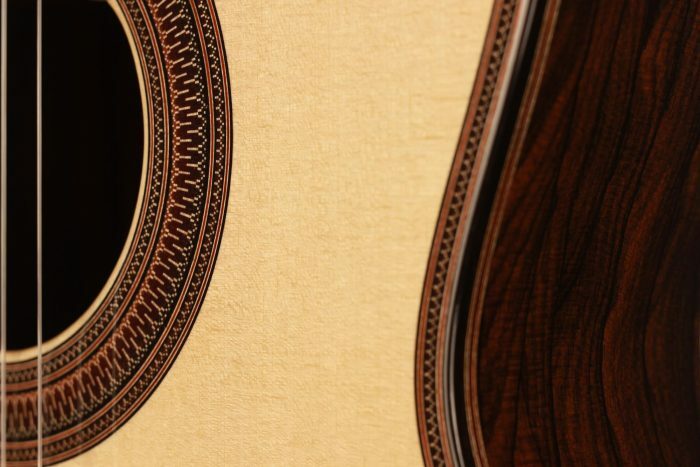 His magnificent guitars are esteemed by professional musicians and collectors worldwide for their elegant, highly responsive musical attributes, refined visual beauty and precise craftsmanship. 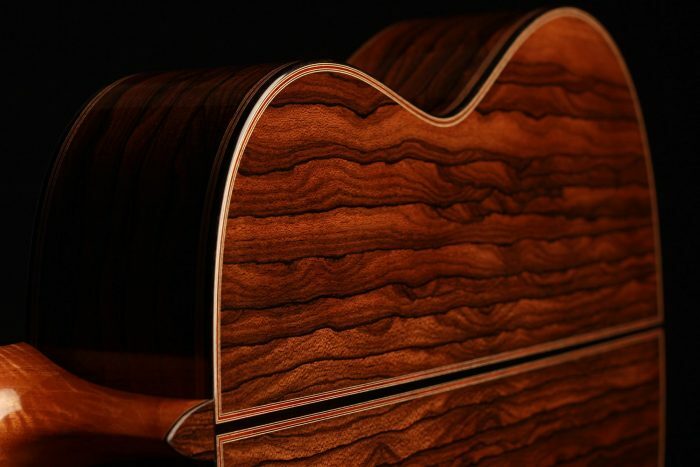 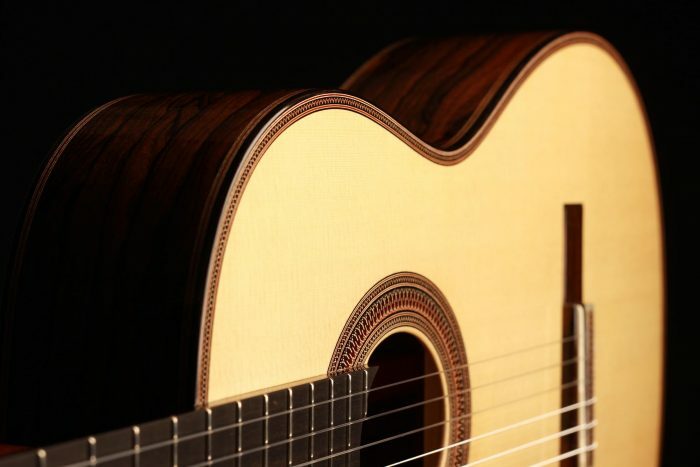 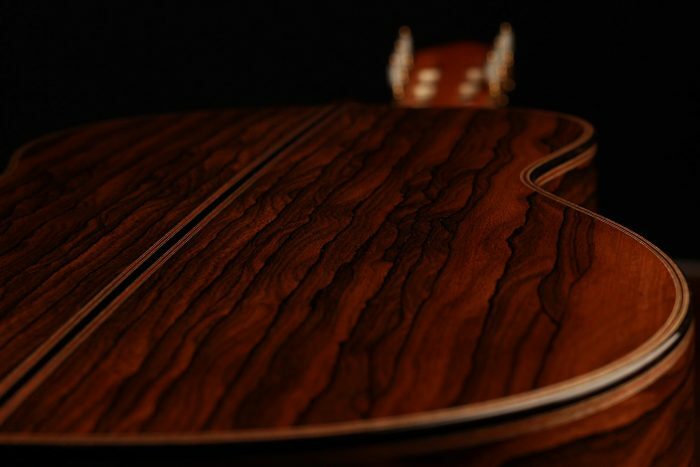 This guitar, specially built for Siccas Guitars, is extremely refined. 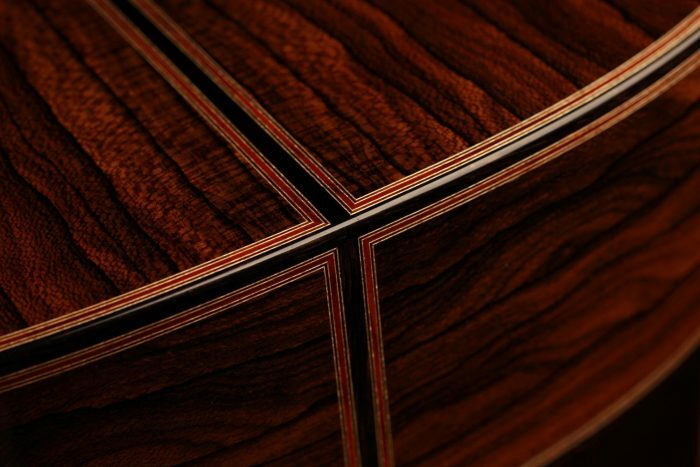 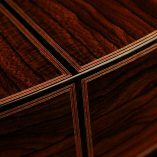 The marquetry work is very fine and elegant, and the choice of wood is wonderful. 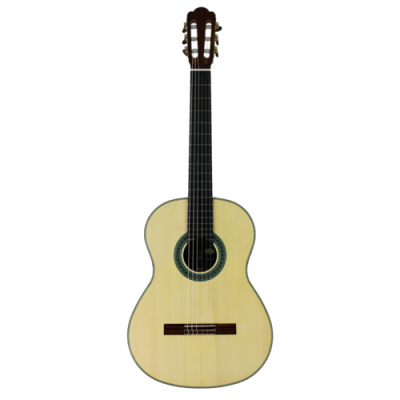 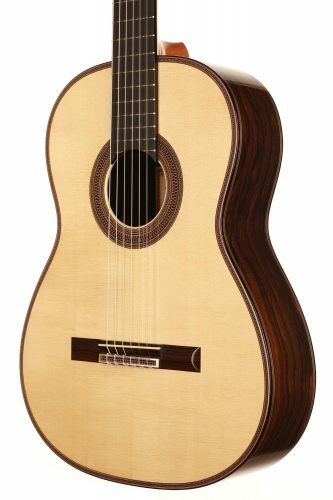 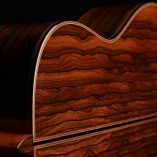 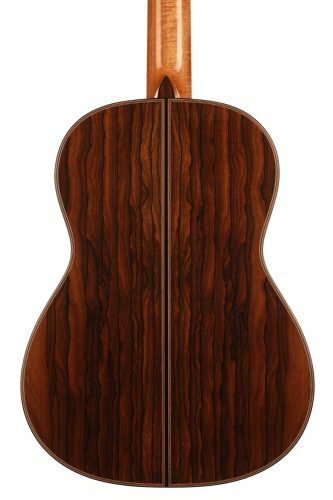 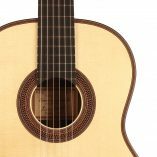 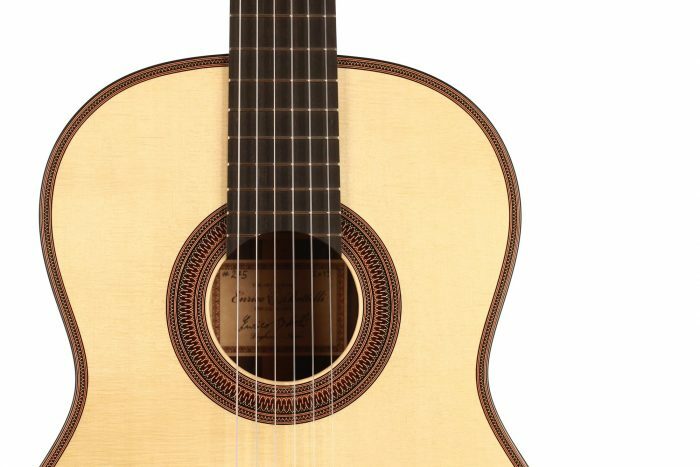 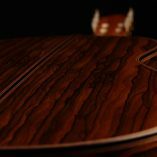 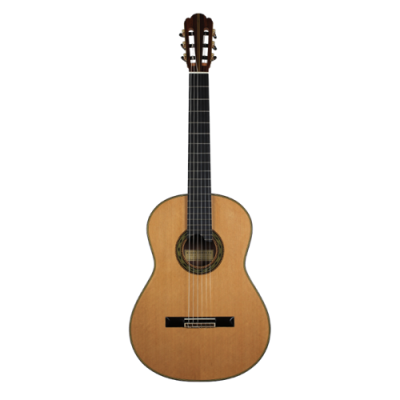 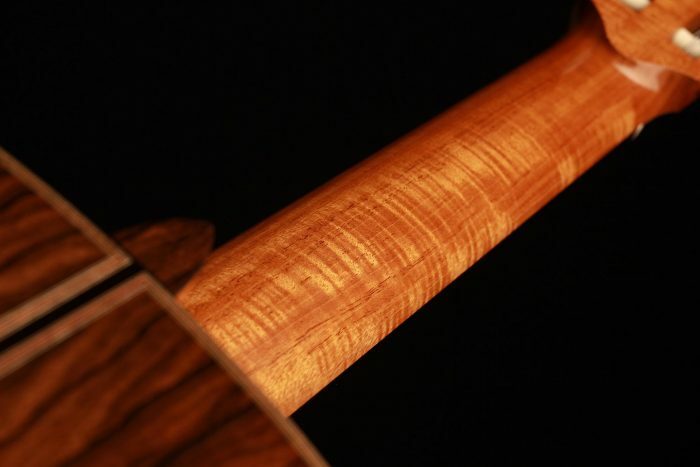 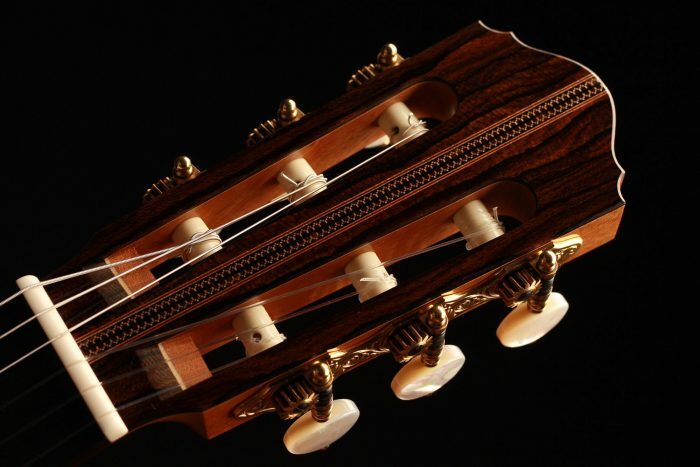 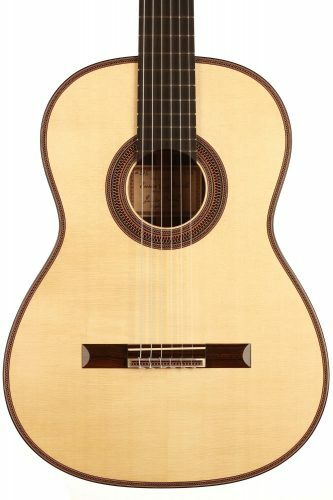 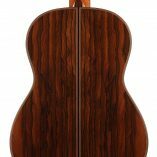 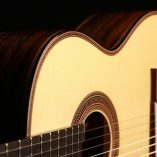 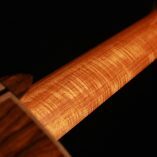 Back and sides are made of Ziricote and the guitar is therefore CITES free. 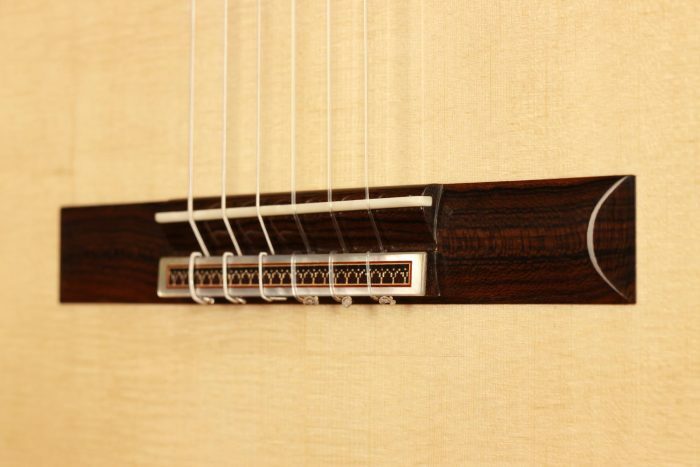 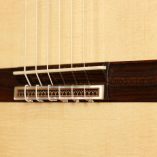 The Rodgers tuners are also of the highest quality and round off this unique instrument wonderfully. 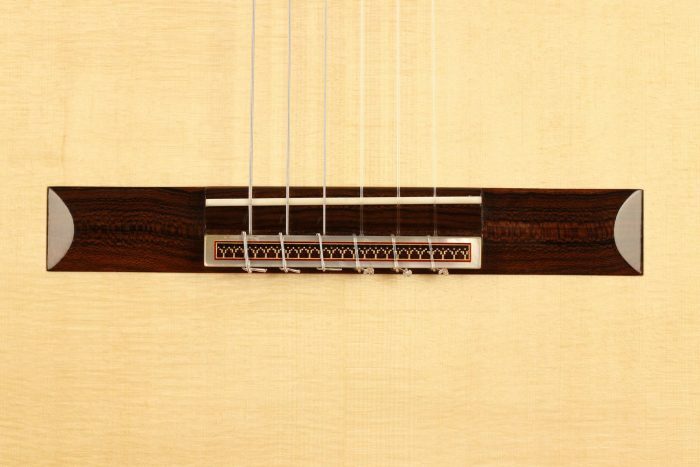 The sound qualities of this instrument are breath-taking. 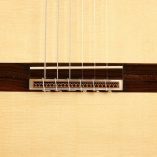 The trebles are clear and crystalline, in the style of Hermann Hauser I, with a fantastic separation of voices. 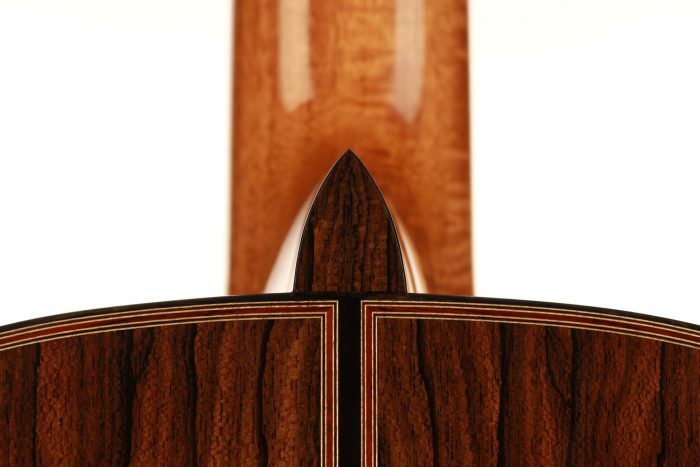 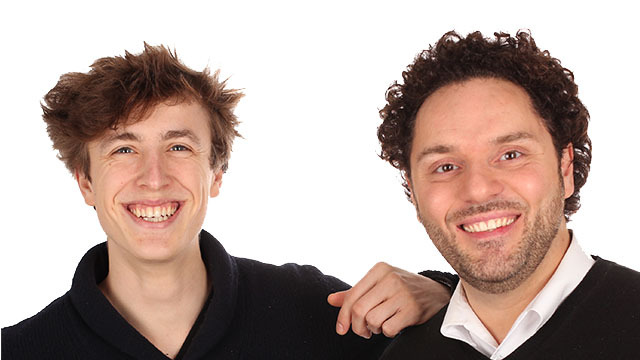 The basses’ response is lively and brilliant with lots of sustain. 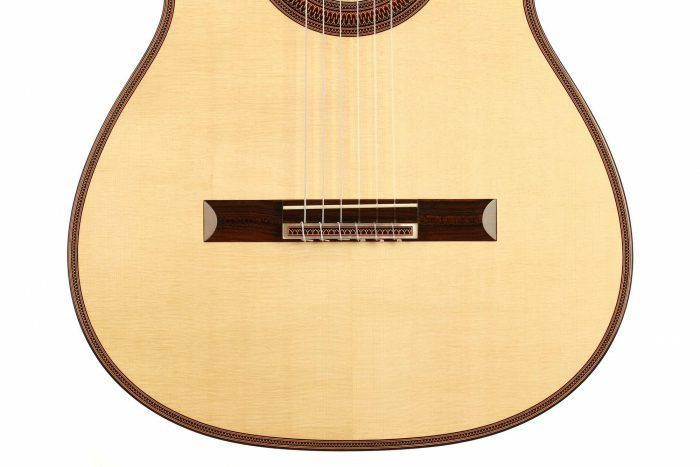 This guitar is very easy to play for both hands and the neck is perfectly profiled. 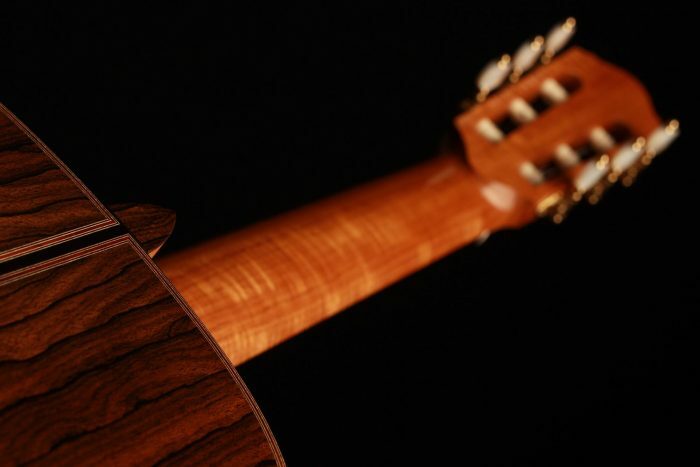 It is a marvel of lutherie both in terms of craftsmanship and music.